There are currently 36,584 users on this website. 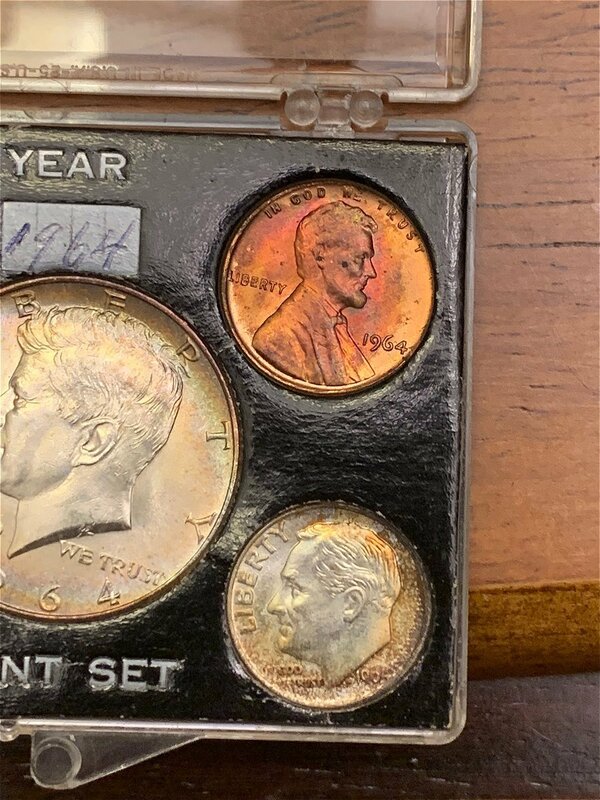 I came across this 1964 mint set from one of my dealers that was not in normal mint set packaging. 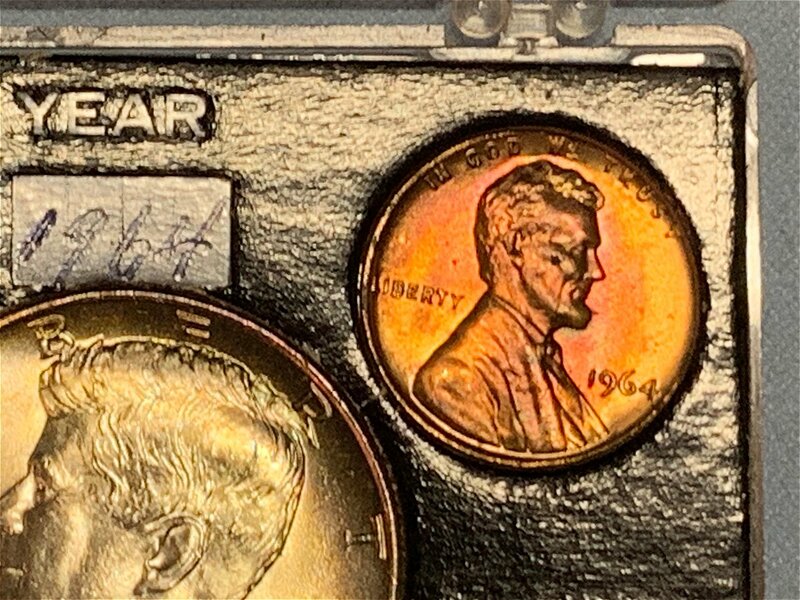 I know the coins could have been just simply placed into this platic holder, however I have identified all of the die markers on the Lincoln cent, and believe possibly the Dime, and quarter are too SMS coins. 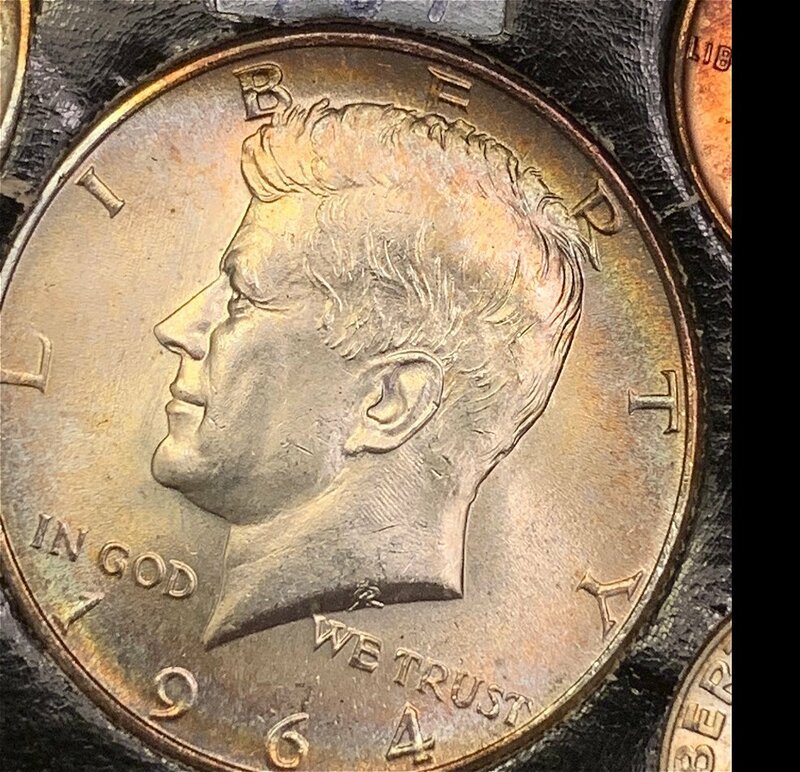 I do not believe the Jefferson nickel or Kennedy half to be SMS but rather just normal business strike. 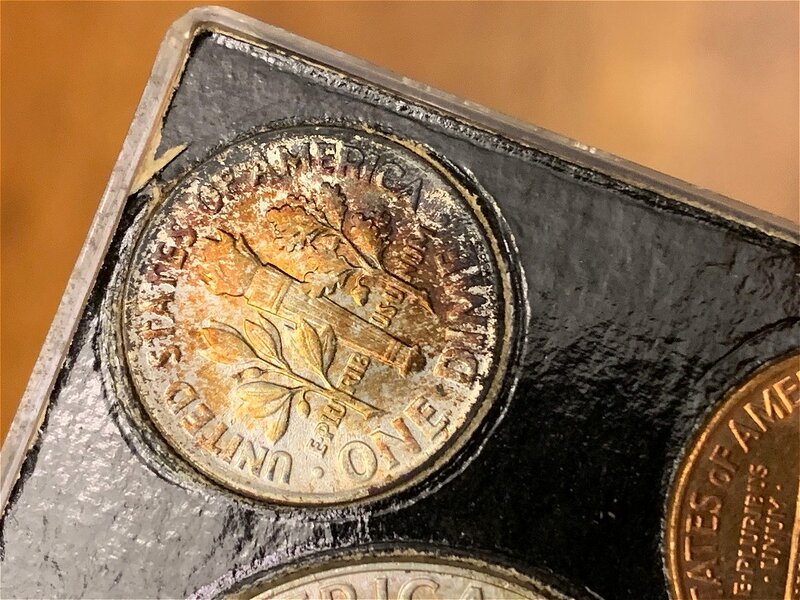 I have 3 sealed 1964 Business strike mint sets including numerous 1964 business strike coins, however the above 3 coins mentioned appear to be completely different then normal. Please let me know what you all think, thank you. 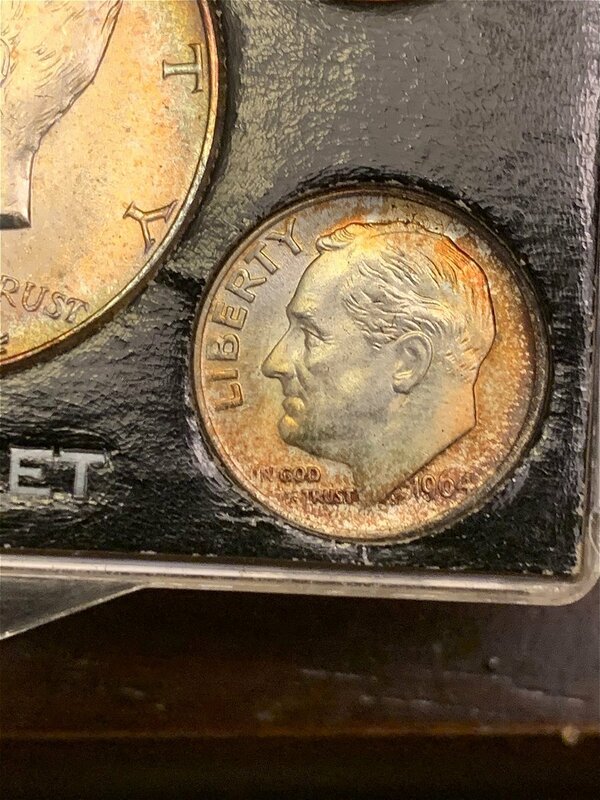 Looks to me like a regular mint set in an after-market holder. 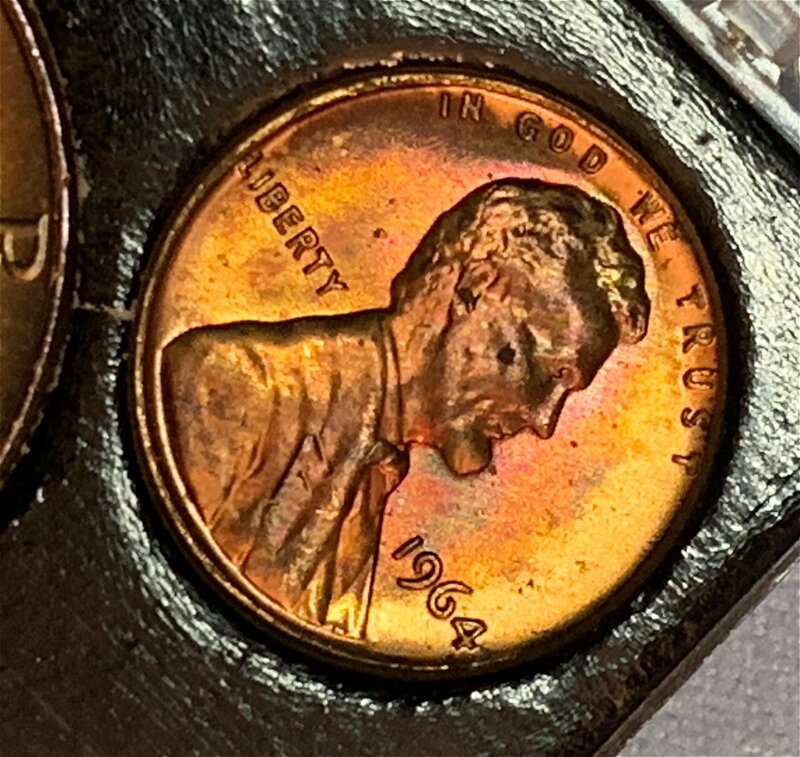 I like the toning. Nice set! 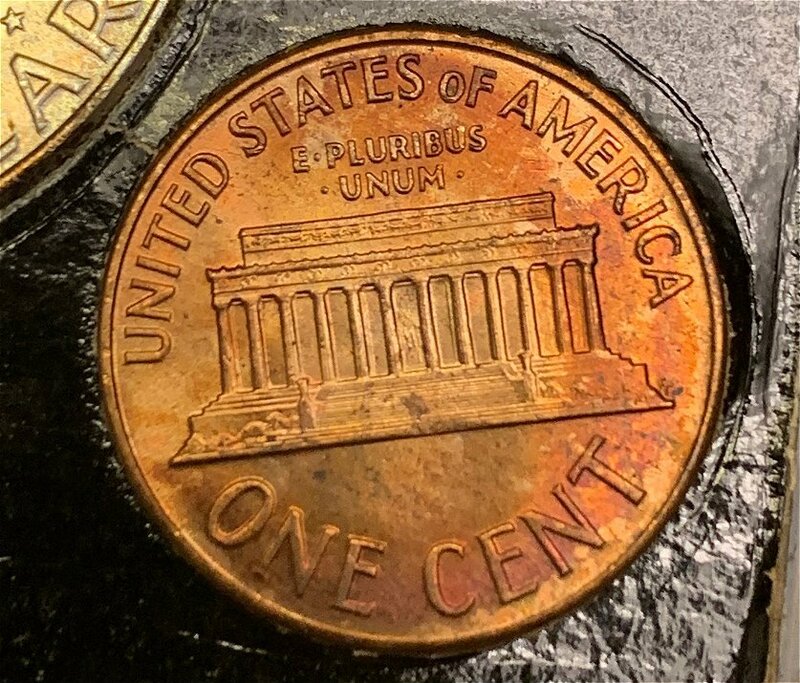 Not an SMS Lincoln Memorial cent. I must agree. 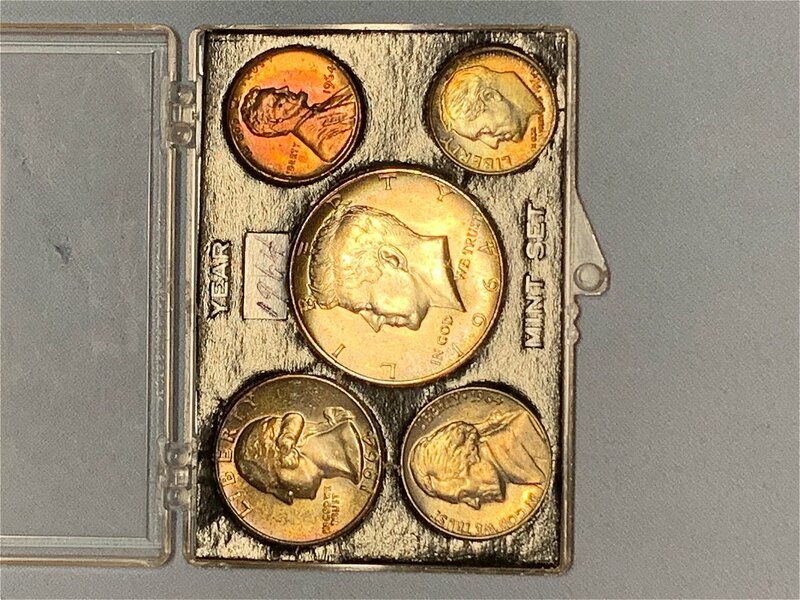 None of those are SMS coins, despite how nice they look. 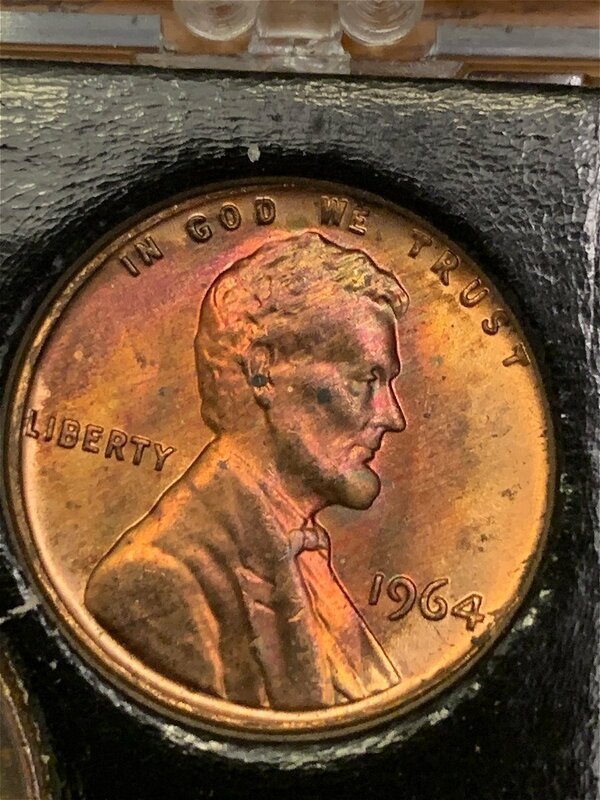 Can you post images of the die markers you have matched on the Lincoln? I also agree. See nothing that suggest that this an SMS, but just a put together set. It's still a good set that was put together. 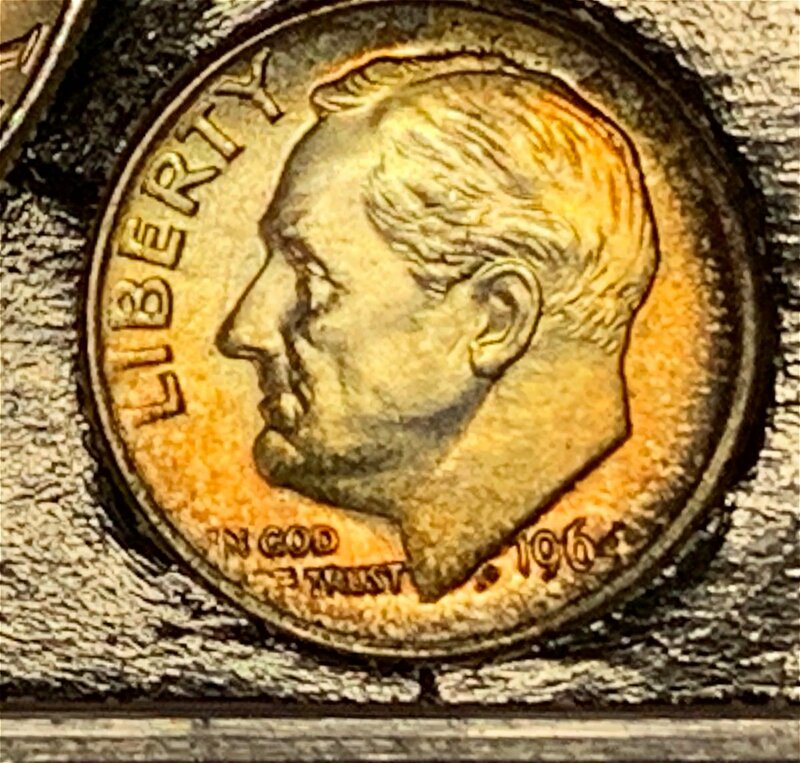 Interesting toning; very appealing look! 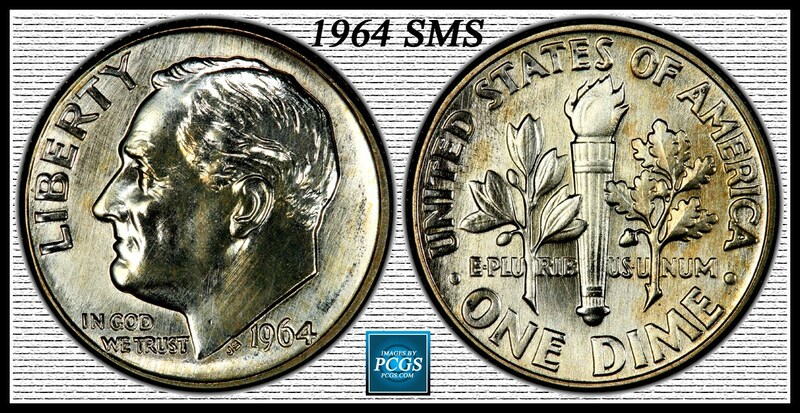 Coop, as far as the Dime is concerned, I was able to find this 64 SMS Rosevelt on PCGS registry SP65. The strike is clearly not as strong as the photo of the SP67 you have posted. 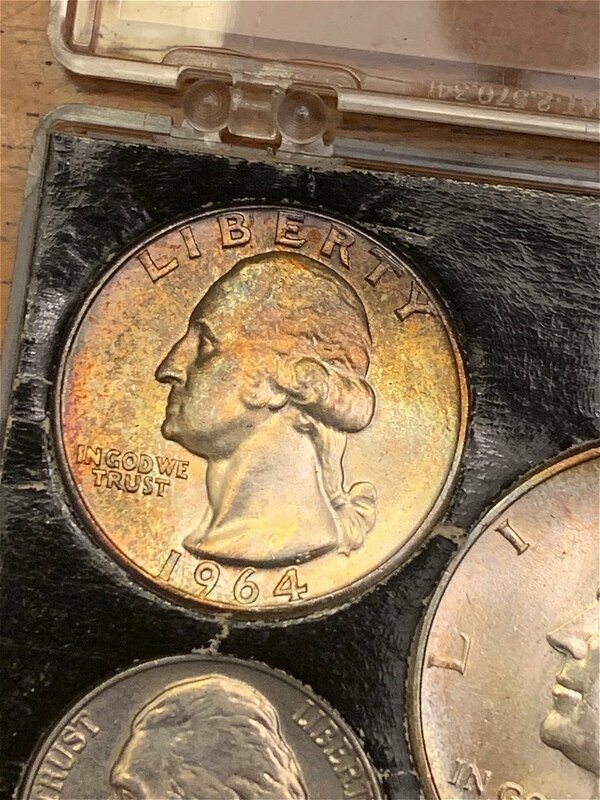 Here is where you can see the difference between your dime and the SP65. 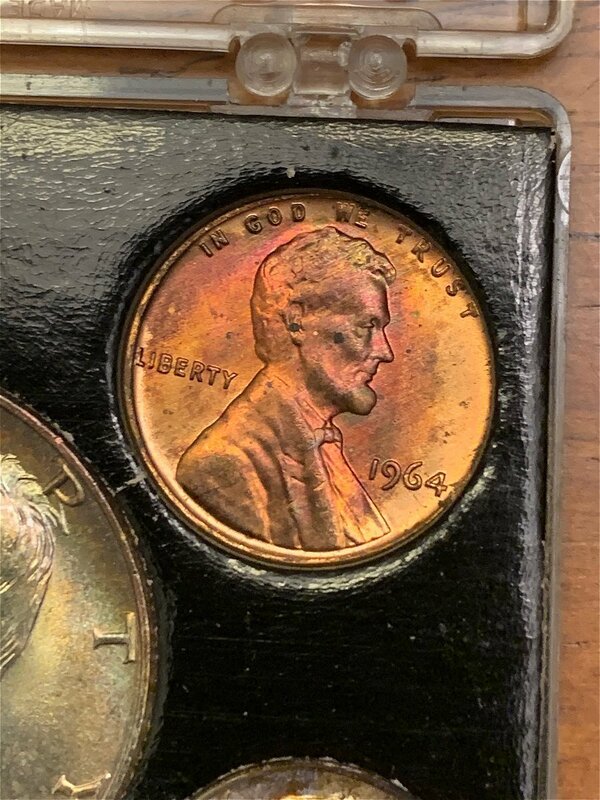 The periphery of your coin shows a worn die. The tops of the LIB of Liberty and the bottoms of IN of the IGWT are not clearly defined. Look at the certified examples. Sharp definition. 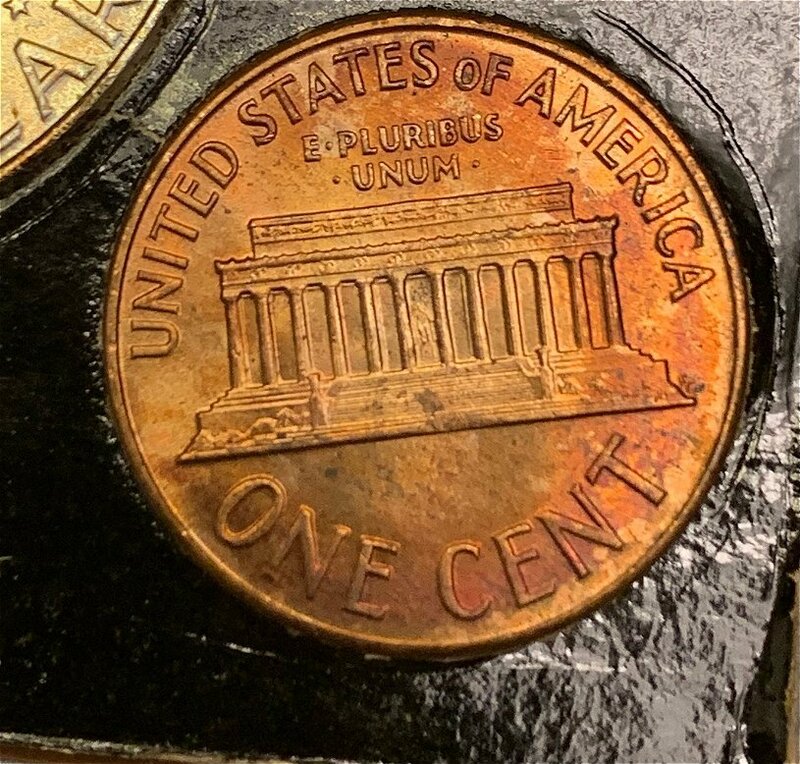 Please God, No New Quarters. 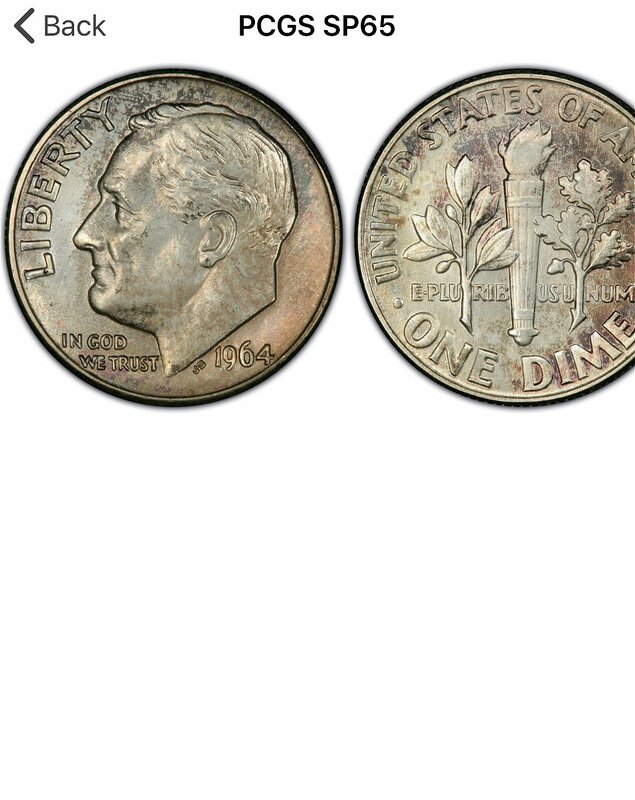 It took 1.33 seconds to rattle this change.